Poster and Pinterest advertising campaign for high street clothing chain, New Look. Responsible for: Concept, copywriting and art direction. New Look women’s clothing – Concepts, copywriting, and art direction. The domestic market value of the UK fashion industry is estimated at £66 billion, the majority of which comes from the retail sector. With approximately 60 chains vying for market share, the women’s high street fashion sector is incredibly competitive; so standing out is the first job for any advertising. This campaign is aimed at the younger end of the market. They have limited budgets, but at the same time, want to look stylish. For them, fashion is all about having fun and expressing themselves. Pitched mid-way between Primark and Topshop, New Look not only delivers on price, but also on quality and great design. 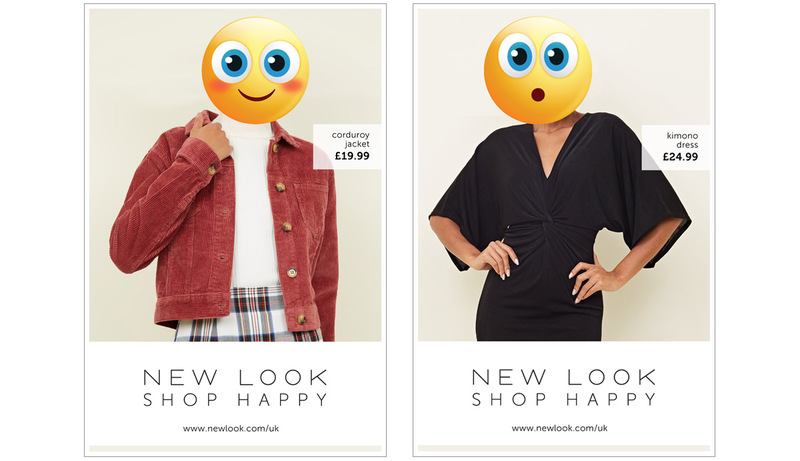 The ‘shop happy’ campaign line expresses this double benefit – cool, fashionable clothes at a sensible price. 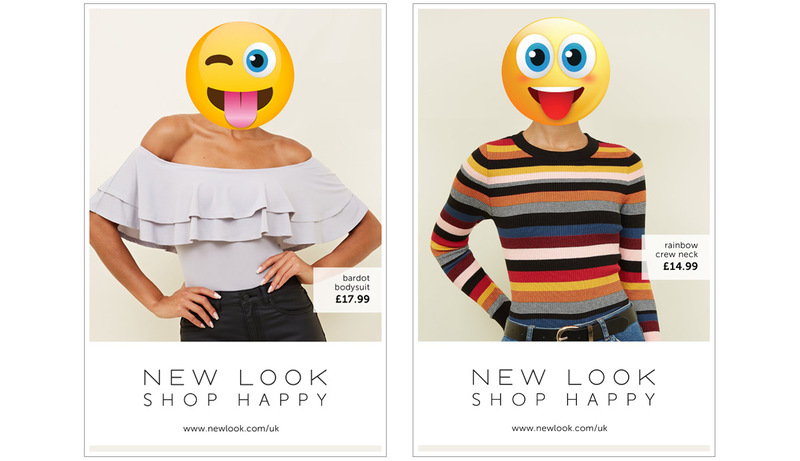 The use of emoji smileys underlines New Look’s irreverent attitude; this is a brand that doesn’t take itself too seriously. As Cyndi Lauper put it, Girls Just Want to Have Fun. Concepts, copywriting, art direction and creative direction.